When you create a site, you put in extra efforts to rank it high in SERPs. For example, you might have implemented many tips to improve the off-page and on-page SEO. Among all those SEO tips, there is one lesser known tip for off-page SEO – PPT sharing sites. Yes, PPT sharing sites will help to boost SEO and drive traffic. But you might think how it will happen? Don’t worry I am going to cover this point as well as some other ones in this post. What are PPT sharing sites? 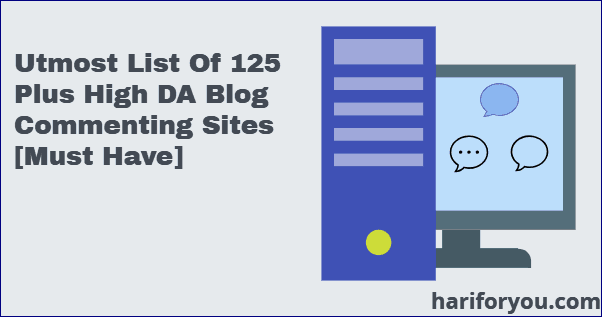 Top 25+ high DA PPT sharing sites. How to use these PPT submission sites? Winding up on PPT sharing sites. 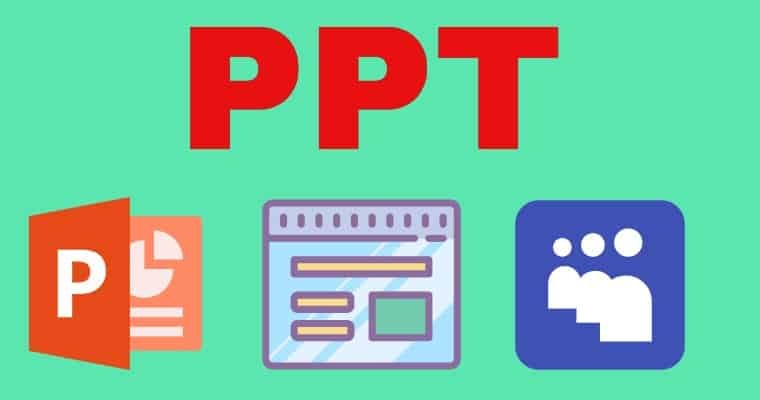 Let us first understand what PPT is. PPT is the file extension of Microsoft Power Point software used for creating presentation. The Power Point software is part of Microsoft Office suite software. And I am sure all of you must have used it. In addition you can also use Google slides – a free online presentation program to create slides. There are many sites on the web where you can upload PPT files and share with public. These sites are referred as PPT sharing sites or PPT submission sites. One other term is PPT uploading sites. PPT submission sites give you an excellent platform to share your knowledge on the web. If people like your content they will start trusting you. This way your brand image will get a boost. Moreover, if you follow other users, they may follow you back. This action will also push your brand up. These PPT sharing sites have high domain authority. So when you share your content on these sites, the content rank high for targeted keywords. Remember high authority sites get indexed quickly by search engines. You will also get some backlinks from these PPT uploading sites. But they are generally nofollow. So, using these sites for the sole purpose of backlinks may not be fruitful. People visit these PPT submission sites for quickly go through content. If you insert some relevant material links in the slide, you will get good referral traffic. If you find an interesting story or presentation and do not have time to read, you may download the PPT file and read it offline. Let us first discuss the top 21 sites to upload your PPT files. It is a digital content discovery and publishing site that attracts more than 40 million visits per month. So, you get the chance to present your content to such a huge audience. You can upload a PPT file or a PDF file. This document will get converted to presentation slide format. So, when you see your shared content on ISSUU, it will be a presentation slide. You can even monetize your document on this site. Media Fire is huge. It attracts over 300 million visits per month. You can upload any kind of files including document, image, music, video etc. Moreover, you can share these files to the vast audience of Media Fire. You can access this site through PC, tablet or mobile phone. Therefore, it is an important PPT sharing site. It is a famous site hosting professional content which include presentations, videos and documents. It means you can upload PPT, PDF, Word, and many other types of files. Slideshare.net allows you to keep your content private or public. This site provides a tool for collaboration with the users. Moreover, you can access this site on mobile using Slide Share app. Currently this site is owned by LinkedIn. 4Shared site allows its users to upload music, video, apps, books, images and all types of files. Moreover, users have the option to share it with public or keep it private. In fact, this site is working as a hosting platform for all of your digital content with an option to share. And it provides free and paid services. You can use its app to access it on mobile phones. Box is a cloud computing business. It allows the users to upload and share files. It also provides collaboration tools. For free account it provides up to 10GB storage. But, premium accounts have much richer options. The web content security is the prime feature of Box. It boasts of clients like IBM, GE, Schneider Electric, etc. This site has a cloud service. At Deposit Files you can store your files for unlimited time for free. You can upload PPT files as well as other files. Moreover, you can access them anytime from anywhere. It also provides password protection for file download. The files can be shared safely on the internet. Remember, copyrighted material of other people cannot be shared here. Calameo is an online platform where you can publish your contents. You can upload any type of digital content including PPT files and share them. This website provides free as well as premium account options. You can access your content anytime from anywhere. Moreover, contents are kept in secured environment. It is one of the important PPT sharing sites. This site allows users to upload big files up to 10GB. But, free account allows a maximum file size of 300MB. You are allowed to share and access any type of file. This platform is better for paid users as free account expires after 30 days. This site is an Internet community for writers and readers to share new stories on wide variety of topics. Wattpad wants to create social communities for the stories on its site. As per the site, it has over 80 million audiences that can interact with the story writers. You can upload your story in the form of PPT slides on Wattpad. MEGA is a cloud storage company that hosts any type of files on its servers. It focuses on data security and encrypts your data before it gets uploaded. You can access your data from anywhere on any device. Moreover it provides browser extension for Chrome and Firefox. In addition it has mobile app and desktop app to ease your data access. This site claims to have over 100 million registered users and over 50 billion stored files. Really an awesome file uploading site! File Factory is a huge platform to upload files of any type. Users are allowed to share their content. Moreover unlimited download from anywhere anytime is also available. This site gives you the option of collaboration with other users on the site. This website is a platform for uploading and sharing PPT and PDF presentation on the web. Author Stream platform is free. It means you are free to upload and share your presentation files. You get a unique URL for the presentation uploaded. Moreover, you get a code to embed the presentation in your blog post. 2shared is a large platform for storing any type of files on its cloud servers. It means you can upload PPT files besides music, video, image files. You have the option to share any of your uploaded file. But maximum single file size is restricted to 200MB. You can download your digital content any number of times from anywhere. So, it is a good choice among the PPT sharing sites. Data File Host is yet another large website for uploads and downloads of digital content. This platform is absolutely free. And you can upload PPT as well as other types of files. But you cannot upload a file larger than 500MB. If your files are inactive for 90 days, they get removed from the server. It is a good resource among the PPT sharing sites to upload and share your digital content. Slide Serve is owned by one of the Microsoft partner – Digital Office Pro. The site provides free service to the users who can easily share, search and view presentation slides online. Anyone can view PPT slides on this site. Moreover, you can upload presentations free of cost. You can share your presentations on social communities like Twitter and Facebook. Also, you can create your own free channel. In all, you will find here everything of ideal PPT sharing sites. File Den provides file hosting and backup service for free. In addition, premium services are also available. This site is running for the last 10 years. It is claiming 99.99% uptime for its services. You can upload any type of files including PPT files on this site. File Den also allows hot linking of your files. Moreover, you can access your files from anywhere in the world. Not only that, you can access the files on all your devices. Edocr is a site that hosts digital documents and allows users to publish them. Users can also sell these documents in the marketplace. So you can upload PPT files and share to the public. You have the option to have a free account or premium account. This site deserves to be a part of your list of PPT sharing sites. Power Show is another high authority site where you can upload your PPT presentation. An online tool converts your presentation into a multimedia flash slide show. The site also gives the option to share the content. Like many other sites, the site offers both free account and premium account. You may consider publishing your PPT files over this PPT sharing site. Your File Link is a free hosting platform for documents, images, videos, and music. It allows large files (up to 5GB) to be uploaded. This file size is larger than offered by many of the file hosting sites. But there is a restriction. If any file is not downloaded within 15 days, it will be deleted. There is one interesting feature of this site – it does not require you to register or login to upload a file. Still you can share your files (like PPT presentation). Transfer Big Files is a file hosting site that allows its premium users to upload large size files. As a free account holder you can upload up to 30MB file while premium account holders can upload up to 50GB files. Your file uploads will be SSL secured and you can share your files. Free account files have only 5 days retention period. After this time, files are deleted. But this restriction is not there for paid accounts. Remember this platform is not meant for storing backups. Docslide.us is a document sharing site. You can create community and share your documents including PPT files. Moreover, you can share unlimited numbers of documents. The site allows its users to embed the slide on a website or share it on social media. It is one of the good PPT sharing sites where you can build your brand by sharing your knowledge. Create your account on two – three sites a day and upload the presentation slides. Refrain from publishing the same content on many sites as it may amount to spamming in the eyes of search engines. Spend some time to check the quality of your PPT. Otherwise, you will not get any of the benefits mentioned above. You may use bullets in the formatting of your content. As audience of these sites do not have much time to read, focus only on the important points in your slides. So you have a good resource at your hand in the form of these high DA PPT sharing sites. You should use these sites to spread your quality content on the web. I advise you again not to spam these sites. Be patient and keep sharing your content. Slowly but surely all the benefits mentioned above will come to you. Thank You for sharing these sites, these are really good DA sites which i think will help me to boost my business, keep sharing your insights these are always helpful! Wow Hari, Great post I been looking for DA sites and your list are awesome, with this we can easily do link building. Thanks Hari! It is a nice list of ppt sharing sites. Earlier, I was aware only of Slideshare.net. These sites can really boost traffic and SEO of our sites. Thanks for sharing this valuable list of PPT sharing sites. My latest video is on the difference between a domain and a website. Viewers can watch it at https://youtu.be/56KuBBtRX_0. This is really an informative article. I can efficiently promote my business by getting high quality back-links from these high DA-PA sites. I have checked the DA PA of these sites and I am thankful to you for sharing these sites. I am sure this will be helpful for the promotion of any business. I will be glad if you can share more such information about Forum posting sites as well. Thank You! Very knowledgeable blog information about PPT Submission Sites List. I like this.